This is the anniversary of the Boston Tea Party, which makes it an appropriate date for the event I’m attending this afternoon: a memorial service in North Carolina for Alfred F. Young, author of The Shoemaker and the Tea Party and other books. That book analyzes George R. T. Hewes’s memories of pre-Revolutionary Boston and the Tea Party, and how America came to remember the Tea Party through him. It considers the challenges of being poor and small in colonial America, what made a working-man like Hewes into a political activist, and how memory functions as a historic source. Though the book tackles a lot of subjects, it remains at human scale because Al focused so sympathetically on Hewes. Beacon Press, publisher of The Shoemaker and the Tea Party, is having a holiday sale on all titles through the end of the month (20% off and free standard shipping). Some of the proceeds will go the Columbia Teachers College Literacy Lifeboats Initiative, designed to help victims of Hurricane Sandy. 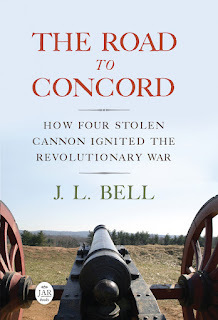 If you’re looking for a holiday gift for a history fan or a fine study of Revolutionary Boston for yourself, please consider buying Al’s book. Beacon Press has also posted a page of collegial tributes to Al, along with what may be a never-published drawing of Hewes. I have a copy(literally a Xeroxed copy) printed manuscript of the 1834 memoir of George R. T. Hewes, edited by James Hawkes. The brief title reads "A Retrospect of the Boston Tea Party: with a Memoir of George R.T. Hewes, A Survivor of the Little Band of Patriots who Drowned the Tea in Boston Harbour in 1773". However only a few of the pages go into detail about the Tea Party & Boston Massacre. Still interesting reading though. That book, by a New York journalist, brought new attention to Hewes, and some Boston politicians invited him back to his native town in 1835. There another journalist, Benjamin Bussey Thacher, interviewed him at length and published a second book, Traits of the Tea Party. Those are the main sources for Al Young’s biography, but he checked Hewes’s memories against contemporaneous sources and filled out the story. Those two books popularized the term “Tea Party,” which seems to have been invented a few years before by Josiah Wyeth or someone interviewing him about his Revolutionary experiences. As Ben Carp points out in Defiance of the Patriots, those authors referred to the men as “the Tea Party” rather than the event.